I’m not sure how many of you remember the Pokemon Balls I made a year ago, but ever since, my daughter has been begging me to make her a Pikachu. I finally agreed to make this little monster. He is small, adorable, and very lovable. The pattern is very easy to follow and well written. I did have confusion with the tail. I don’t know what I did wrong, but whatever it was, it still worked out just fine. Instead of felt cheeks, I just used some acrylic paint. 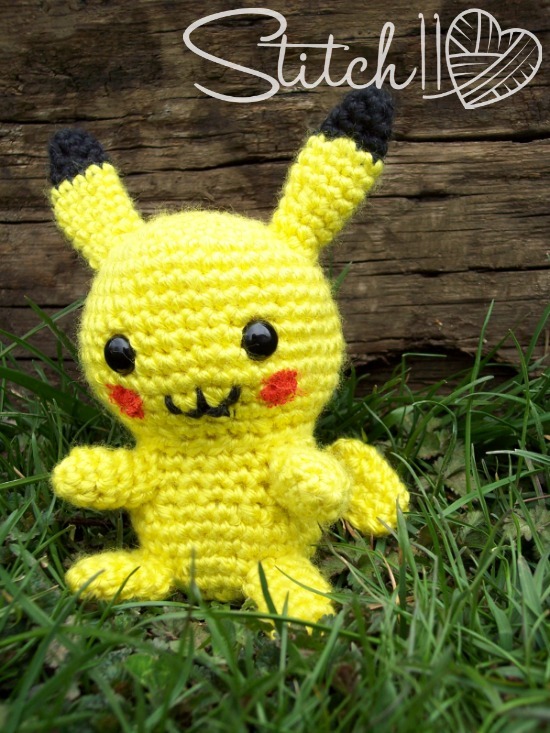 You can find your copy of this free Pikachu crochet pattern here.